Contents and Media: Three parts in pale coloured resin; two colour photo-etched pieces; instructions. 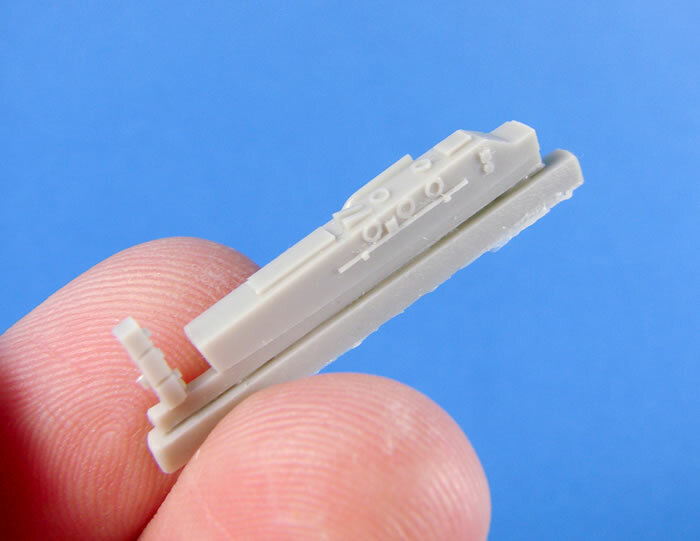 Advantages: High quality detail and casting; effective use of multi-media. Recommendation: Simple premise, well executed. Our last set is packaged into a standard sleeve with a cardboard backing. If you don’t wish to fit the entire cockpit set, then this simple upgrade could be for you. 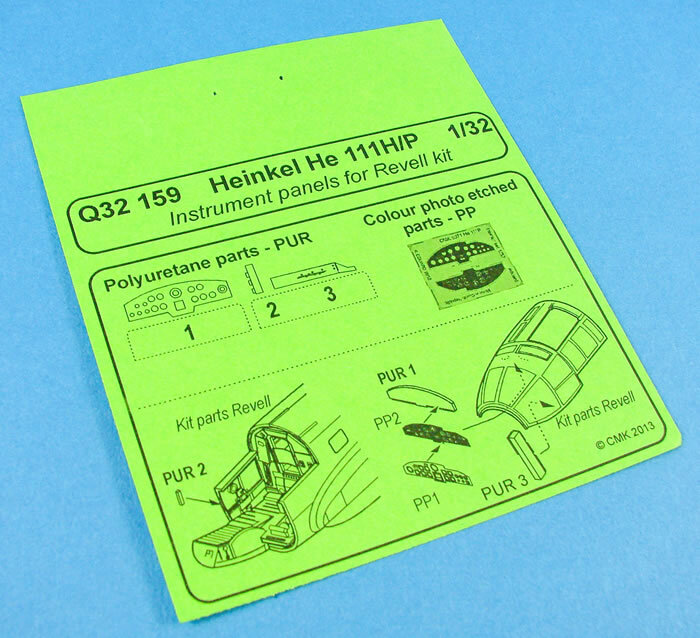 This set is designed to replace the Revell instrument panel with something far more presentable. Firstly, a resin panel is supplied, and this simply has rear instrument detail. You will need to add wiring etc. to this yourself. Onto the front of this fits a two-part photo-etch instrument panel, produced by Eduard and printed in full colour. PE quality is excellent, as we’ve come to expect from Eduard. Two other resin parts are included and cast onto a single block. These are for the large central console that fastens into the upper canopy area, and for a small side console. Details are very nice and I think just a little accompanying wire will seal the deal. Again, the instructions are simple but do the job effectively. 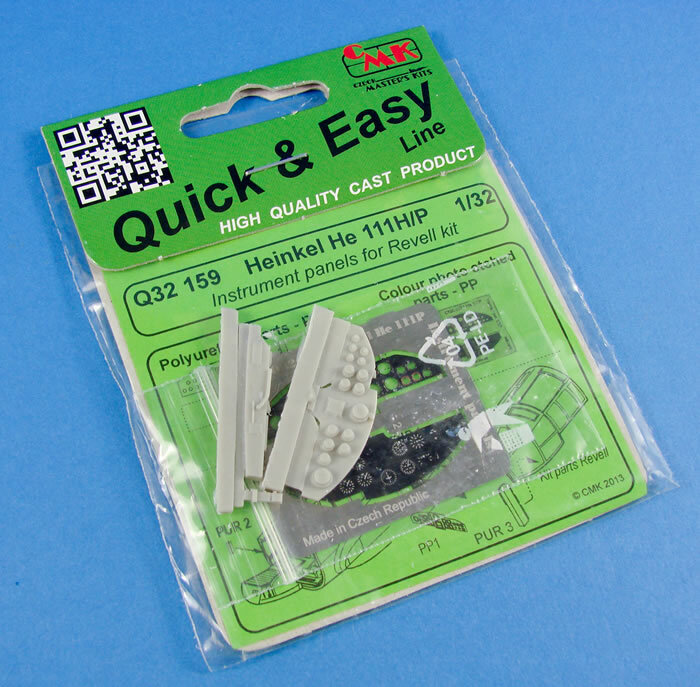 If you want to super-detail your He 111 kit, then whilst Eduard will provide some really nice sets, such as the bomb bay etc., if you want to add resin to enhance your work, then these really are the only sets in town that will give you what you need. Thankfully though, CMK’s work is excellent and straightforward to fit and the price is more than acceptable. 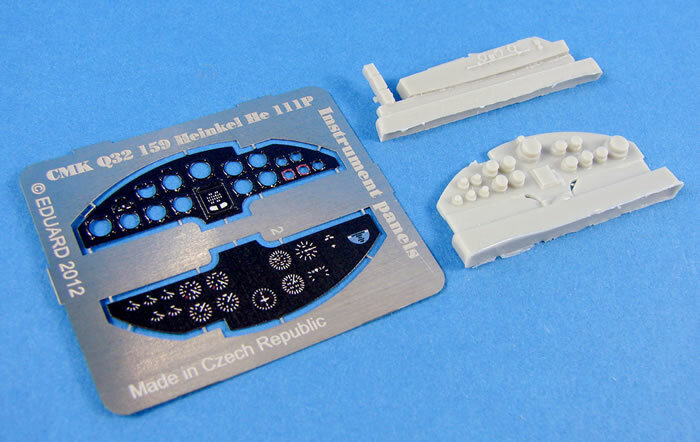 All we really need now is for Revell to start moulding their kit again and perhaps we can see more of these sets used on the club and competition stalls.